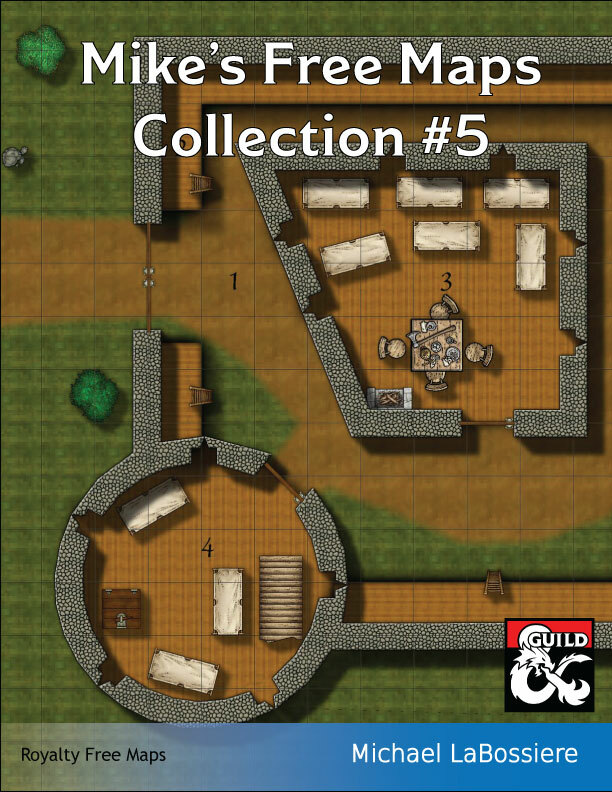 This royalty free map collection contains 40 free color maps including towers, a keep, an inn, a town hall and more. Each map has a version with a grid and one without. The PDF files allows you to easily view the maps, the ZIP file contains the JPEG versions. 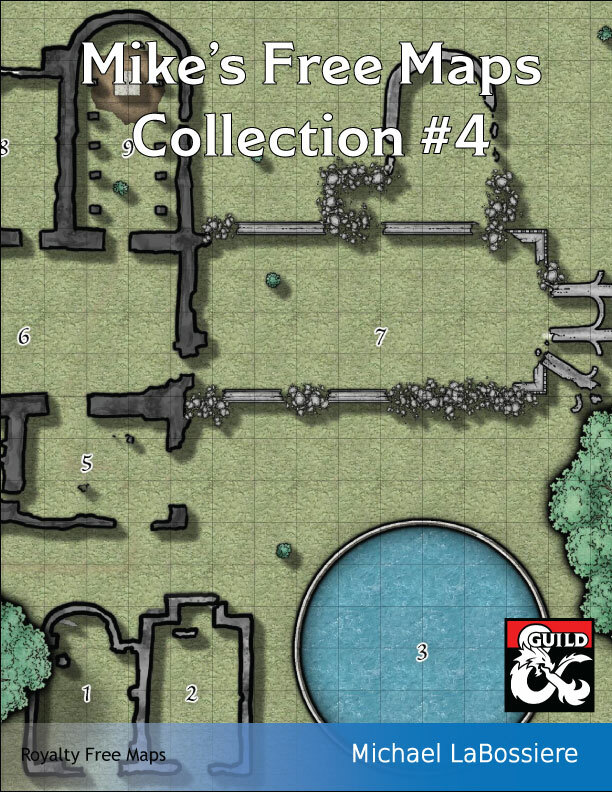 This royalty free map collection contains 33 free color maps including a guard post, ruins and a goblin camp. Each map has a version with a grid and one without. In her later years, she retired from adventuring and one day simply vanished. Some speculate a final experiment failed and banished her eternally to some other dimension. Another tale relates how one of her many enemies finally killed her. In any case, she vanished but left behind a tower and a magical gateway to the space containing the tower. Some tales claim that the guards of the tower are monsters Zakelana won over but could not allow to roam freely. The tales also speak of the great wealth and magical secrets within the tower. 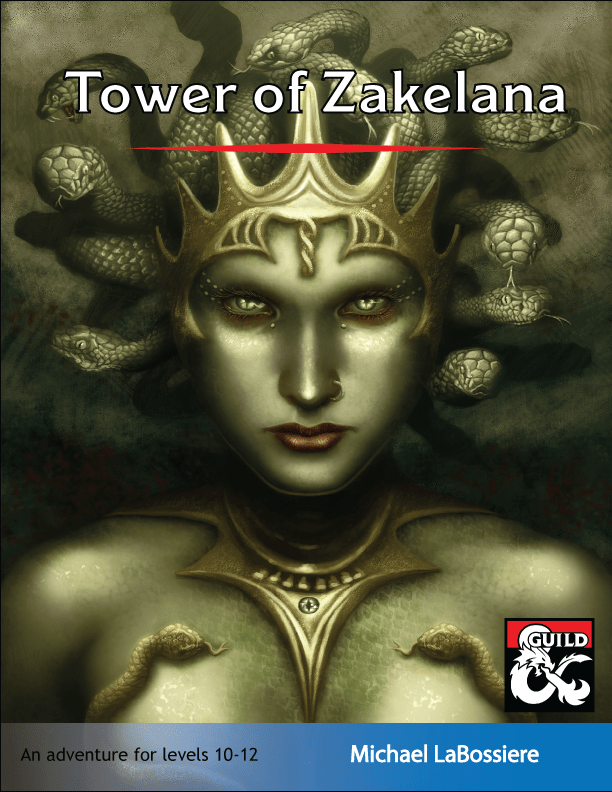 Tower of Zakelana is intended for a party of 10th-12th level characters. It is for the 5th Edition of D&D . The once peaceful town of Gremsel is no longer peaceful. Several months ago a ferocious red dragon landed in the center of the town and gave the people an ultimatum: either they would pay tribute or he would consume every creature in the town, from the smallest cat to the largest cow. Unable to stand against such a beast, the people agreed to his demand. Hope arrived in town with a new magistrate possessing funds to hire bold adventurers. Sadly for the good folks of Gremsel, hope quickly departed down the dragon’s belly as he boldly killed and consumed the adventurers, returning only their charred skulls to the center of town. Desperate and short on funds, the magistrate of Gremsel has put out a call for heroes bold (and generous) enough to face the dragon. Will the new heroes slay the dragon or shall their charred skulls join the tastefully arranged pile in the center of the town? Dragon Hunt is intended for a party of 8th-11th level characters. Available now for 99 cents on Dungeon Masters Guild. A dragon. In a dungeon. Detailed maps for the area and dungeons. A robust narrative with opportunities for both role-play and combat. The wizard Arrogo, a student of the infamous mage Kelok, achieved minor fame developing original spells, some of which were extremely dangerous to the caster. While his supporters claim he developed spells still used today, unbiased experts claim his original spells have been lost. His detractors claim that this is a good thing, at least for wizards who prefer not to be imploded by their own magic. Because of his love of magical research and dangerous machines, it is perhaps fitting that the legends claim that he met his end whilst researching a new spell. Those friendly to his memory claim that he perished while nobly expanding the boundaries of magical knowledge. His detractors insist he perished while making his last and greatest mistake. Little is known of his tomb. According to legend, the tomb was hidden in the wilderness to keep grave robbers and pilfering adventures away from his treasures. There are, of course, the usual tales about the tomb of any wizard, namely that it is packed with great wealth and fantastic items. Naturally, there are also the usual tales of the elaborate precautions, terrible traps, and vicious monsters that protect the tomb. Interesting encounters on the journey the tomb. Detailed color maps for encounter areas and the tomb. Statistics are included for all encounters. Robust opportunities for role-play and combat.